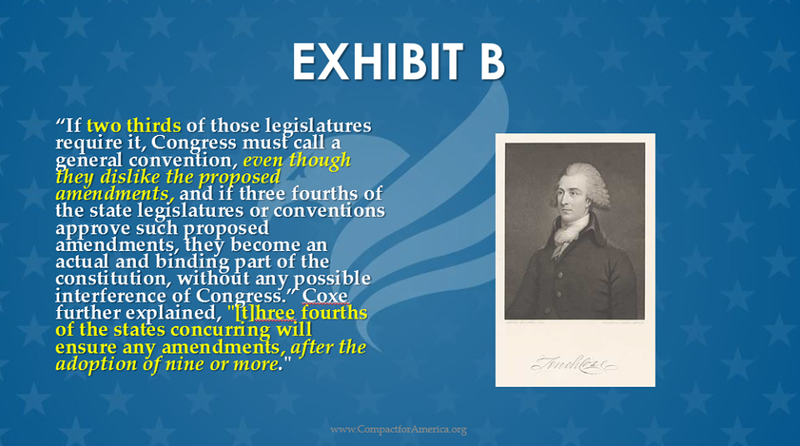 The Compact for America combines the inherent power of the states to enter into agreements with the approval of Congress (acknowledged in the Constitution‘s Article I, section 10) with the Article V state convention process for amending the Constitution. This allows for a process that has speed, certainty and safety. This the first in a series to examine the Founders’ opinions on how the Article V Convention process should have clear focus. Part II calls attention to more of the Founders support for a focused Article V Convention and Part III brings it all together. The history of the Constitutional Convention demonstrates this point. 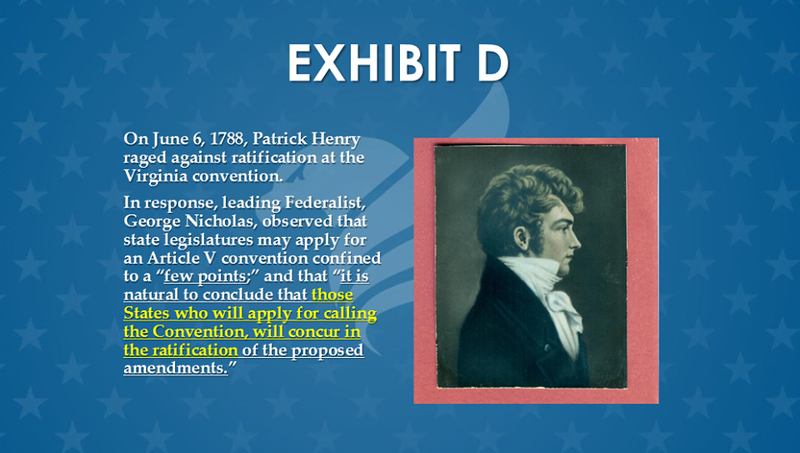 These statements were made during the Constitution’s ratification era and constitute clear evidence of the public understanding of the function of the state legislative application in the Article V amendment process. 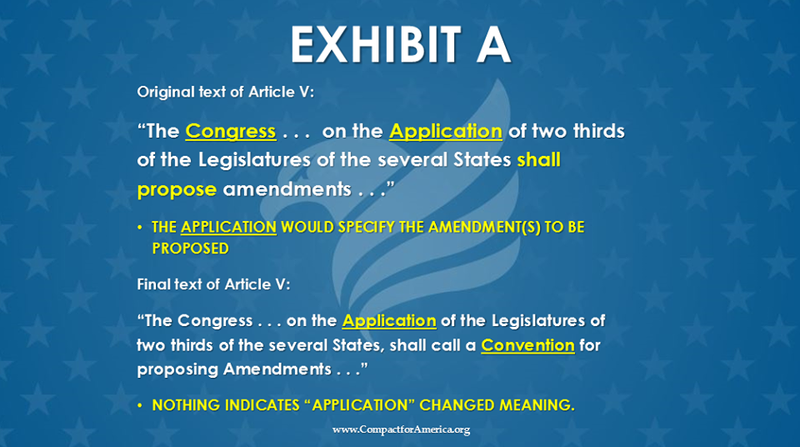 Notice that these statements clearly indicate that two-thirds of the states would specify and agree on the desired amendments in their Article V application before any convention was called. If you find this evidence to be as powerful as we do, please like and share this blog. Also, consider a donation to our “Balance the Budget Now!” campaign. In light of Federalist No. 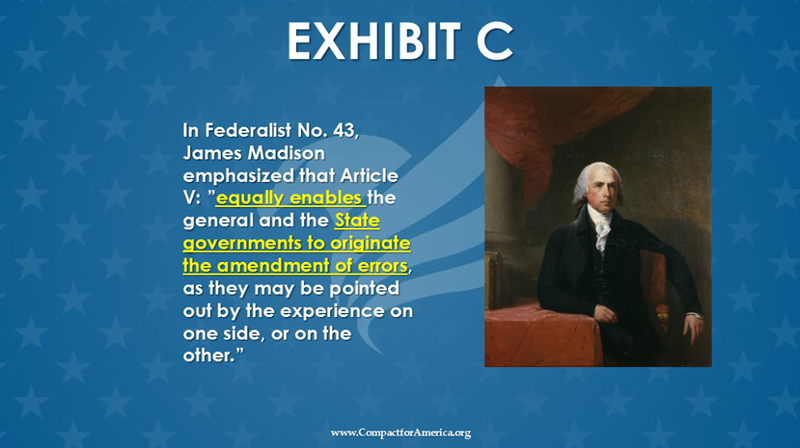 43, the most plausible way Article V could be viewed as “equally” enabling the “State Governments to originate the amendment of errors” as with the general government, or Congress, is if the Application of two-thirds of the legislatures of the States, which triggers the convention call, could also direct the Article V convention to propose desired amendments. Notice how Nicholas’ conclusion is only “natural” with the expectation that the states would typically organize a convention with a narrow and preset agenda, and only after first agreeing on one or more amendments specified in their Article V application. This is, of course, the foundational principle of the Compact approach to advancing constitutional amendments. Like and share if you agree and want to spread the word! Also consider a tax deductible donation to our “Balance the Budget Now!” campaign. Check out Part II of this series for more on the Founders’ thoughts on the focus of an Article V convention.